David George was a banker for 10 years. Starting off his banking career, while finishing Ball State University, he worked for Muncie Federal Savings & Loan. Upon graduating from B.S.U, and the bank having been acquired by American National Bank, he worked as a Loan Officer and eventually led the Consumer Lending Department. Late in his banking career, another merger occurred, this time with his employer being acquired by Old National Bank. Having never thought of himself as a “banker”, George departed and began his Insurance life with Andy Thompson and The Thompson Group. David spent 6 years learning from one of the most progressive agents around, aggressive marketing, relentless pursuit of good clients and being a “student” of the industry are traits that have developed over the years. In 2006, when opportunity came calling, after much deliberation, he accepted a position with Beauchamp & McSpadden, dba Morrison Galliher Insurance. A larger agency, with many markets and multi-generational ownership, Morrison Galliher proved to be a great partner! Many successes where achieved and the diversity of working on large complex social services accounts, medical malpractice for physicians and hospitals, along with manufacturing insurance, school insurance and other program insurance proved meaningful. In 2008, Beauchamp & McSpadden were recognized as the Agency of the Year in the State of Indiana, by the I.I.A.A. – Independent Insurance Agents of Indiana, our State Association. This was a proud moment, never to be forgotten! In 2008, George was also named “Young Agent of the Year” by the I.I.A.A. perhaps his most important award. The thoughts to do something different, something independent grew over the years. The ability to understand cash flow and balance sheets and income statements from his days as a banker makes for a unique Insurance Agent. Bonding for insurance clients was a natural and George has a lot of experience working with contractors, no matter how big or small that they might be! The urge to create a unique agency, one that was based upon principles that took 20 years to develop wouldn’t stop. 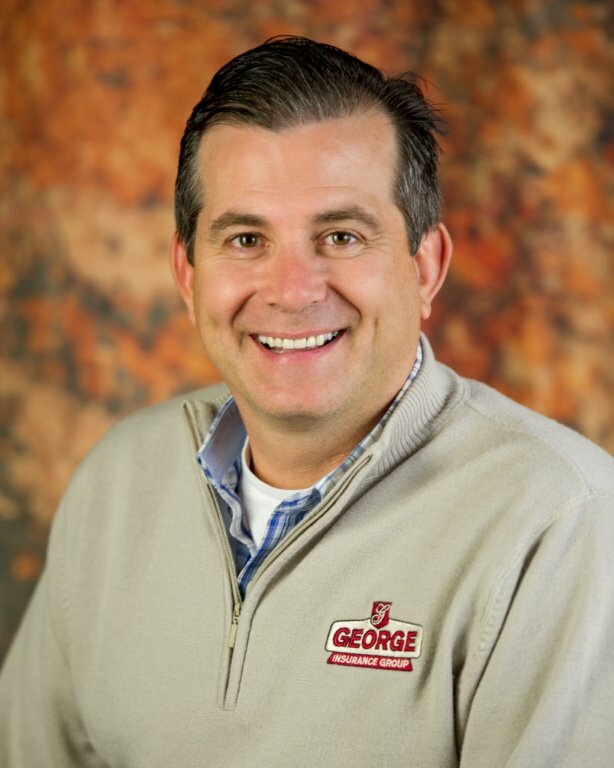 In 2012, David George took the plunge and branded George Insurance Group. Supported by Stewart Brimner & Peters, a large Fort Wayne agency, who’s 4 progressive owners and longtime friends saw an opportunity to team up! This agency is being built from the ground up to be different. Not just in theory, not just with hype, but truly to be different. Relationships have never mattered more than now! Customer Service has never been needed more than now. Why not call us and see what we mean? When we say that a “handshake means something”, we mean it. We will work hard to overwhelm you with customer service, responsiveness and personal touch that I trust that you have never seen. Julie is originally from Peru Indiana, where she graduated from Maconaquah High School. An outstanding student athlete, Julie was a State Swimmer 3 of her 4 High School years. Upon graduation, she attended Ball State University. 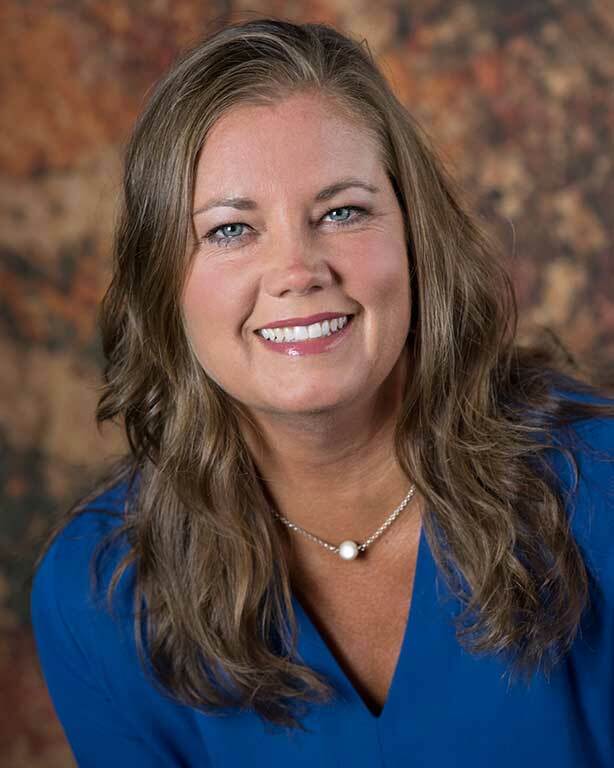 Julie joined George Insurance Group as our office manager after six years with a local mortgage company, but became licensed shortly after joining the agency and is now one of our Commercial Insurance Account Managers. Julie makes it her goal to make sure our clients receive outstanding customer service. She and David have two beautiful daughters who keep her very busy. She is involved with both of their swim teams, school and club, and is President of the Delta High School Swimming Booster Club. Julie is excited to join David and help to grow George Insurance Group into something they can be proud of. Debbie Flynn graduated from Delta High School and now resides outside of Springport, Indiana with her husband. She has one son and three step children, eight grandchildren and three 5 great grandchildren. Debbie loves spending time with family and going to garage sales trying to find that special bargain. Debbie has worked in the insurance industry for 40+ years either in Personal Lines, Commercial Lines, Claims and some management experience. My experience has been working on the Insurance Company side as well as the Insurance Agency side. Debbie is a wonderful asset for our company and loves working with the customers so much that we talked her into coming out of retirement to work 2 days a week with our Personal Lines clients. 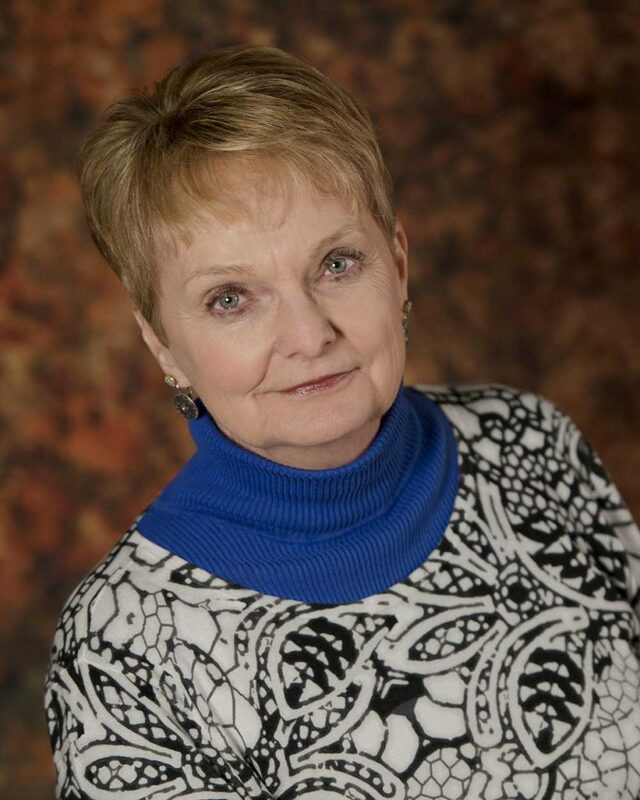 Muncie native, Kim True, graduated from Delta High School and attended Ball State University. An avid lover of all things music and art, she took a position as a bartender for a local music venue. Her connections through the venue took her to Northwest Indiana and finally to Southwest Michigan. Here, along the picturesque shores of Lake Michigan, Kim excelled as a mixologist and soon began working as an event planner for the area’s booming wedding industry. Once wedding season slowed, her passion for design quickly ramped up and took form as Black Cat Ink, a design shop focused on small business marketing as well as hand drawn prints. Lake living was peaceful, but Kim felt something missing. She returned to Muncie and worked as an event coordinator for a local not-for-profit. After 15 years in the hospitality industry, an opportunity came knocking to make a career change! 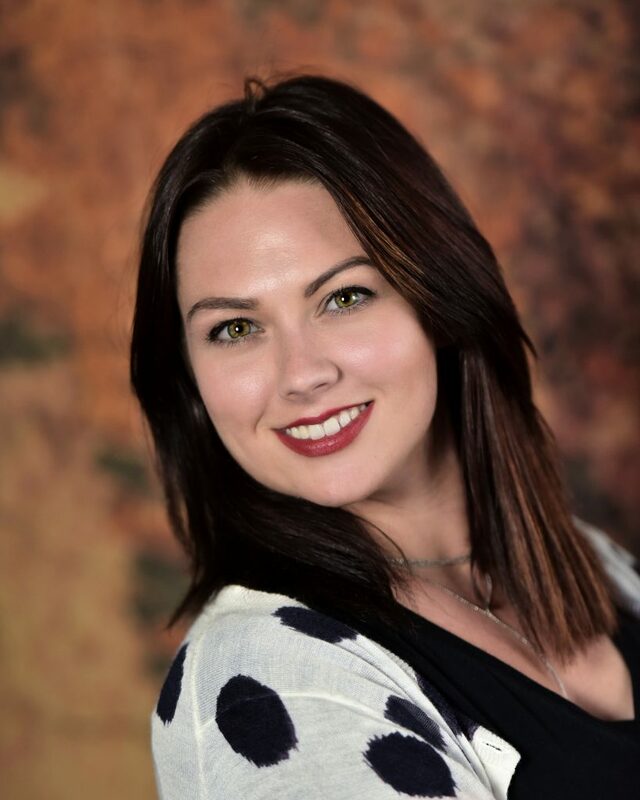 Kim received her insurance license June 18th, 2018 and joined George Insurance Group as a Personal Lines Account Manager that day. In addition to servicing personal accounts, she also runs our social media platforms and assists with our website. Kim is an insatiable reader and can usually be found at one of Muncie’s local parks reading on her lunch break. On the weekends she stays busy helping her parents rehab their 115-year-old farmhouse, going on outdoor adventures with her boyfriend, or painting in her studio. If you call our office you will have the opportunity to speak to a live person! Our agency is proud to have Bailey as our Admin. 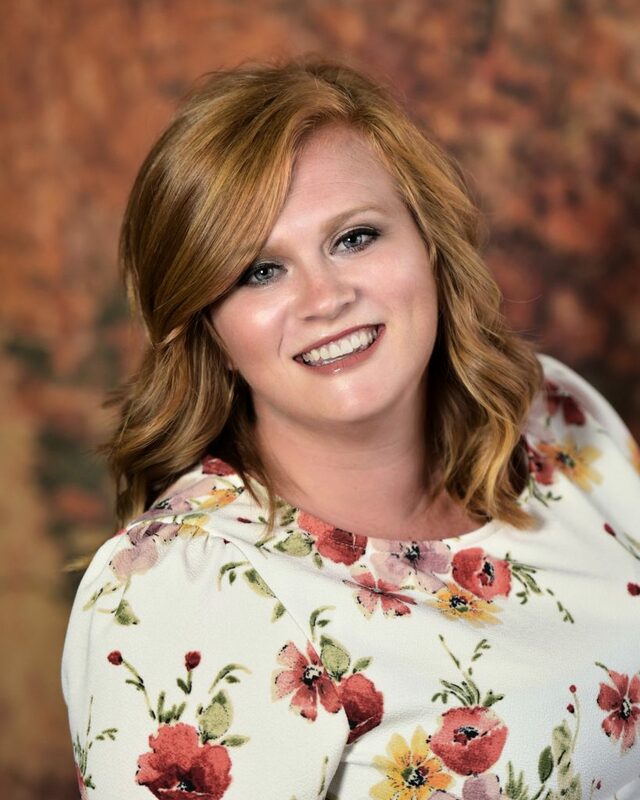 She grew up on a farm in Randolph county and graduated from Randolph Southern High School. Bailey did 4H for 10 years and loves the outdoors. She loves to camp, fish and golf. Bailey is married to her husband Jonathan and they love their 3 dogs. Family means the world to Bailey and she is very close to them. If you do have a claim, there is a good chance that you will speak to Bailey and she will assist you through the entire process. She is an outstanding employee and we are happy that she is part of the G.I.G. family! We are excited about her future with us!